Nothing says Spring time like this brand refresh! 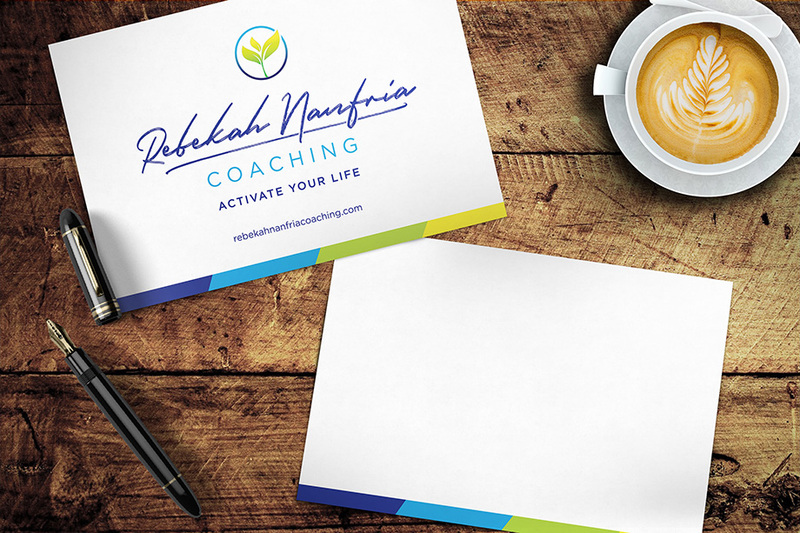 I’m proud to showcase this branding project for a truly wonderful friend and one who is now a client. 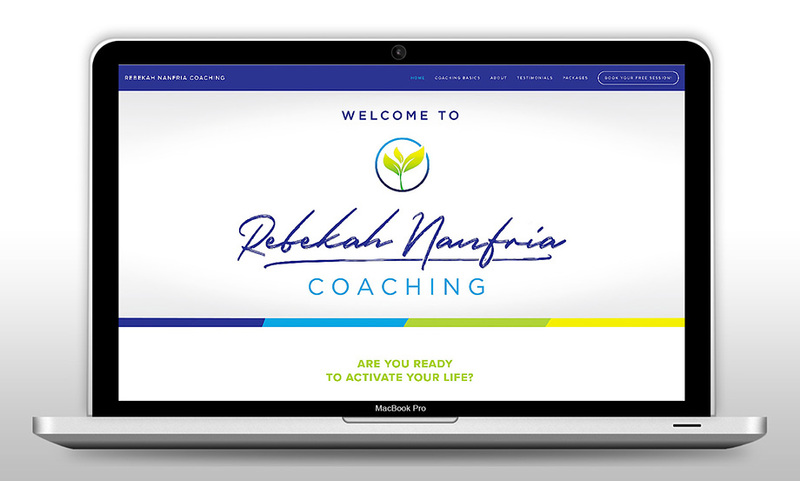 So, welcome Rebekah Nanfria Coaching into the OBS family. What started out as a few emails on catching up and batting a few ideas around in late 2017, turned into a realization that we needed each others help and recognized a desire to collaborate. If you’ve ever had a coach you know that you hire them to help with whatever obstacles are blocking you and holding you back from moving forward and having an amazing life. 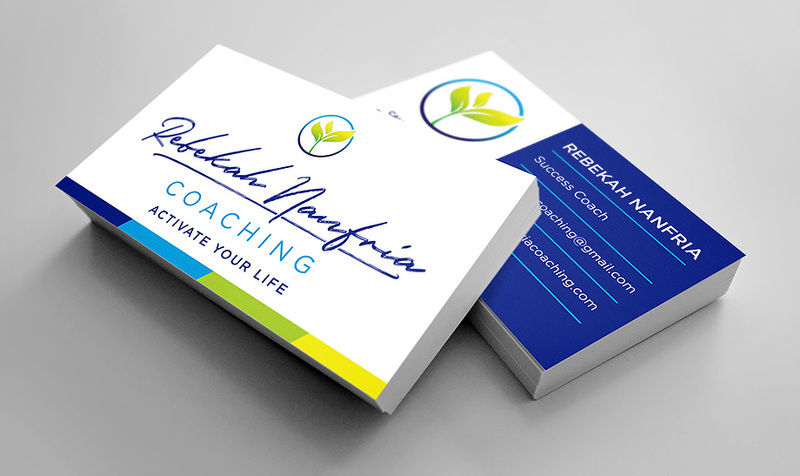 If you’ve never had a life coach before, maybe now is the time to get curious. One of the first things we talked about was that her current DIY branding was flat. It was not serving her all that well and it didn’t really reflect her personality or approach to coaching. So I put a list of questions together for her to go through and challenged her to dive deep. Who are you as a coach? What do you bring to this relationship? How do you help unstuck your clients? What do you want your clients to experience in their journey with you? When developing a brand style its always important to dial in some keywords to help anchor some concepts of what will be the driving force for the visuals. So when I think of Rebekah, I think of her as; bright, light, love, empathy, space, breathability, trust, listener, positive, hopeful, radiant, life, safety and growth to name a few. She just shines and brightens up your space wherever you are at in that moment but her old branding never reflected that. When we booked our discovery phone call and walked through her responses ,I kept hearing a recurring themes of trust, life and growth. I already had some visual concepts in my mind as to what I wanted to do so I sat down and sketched out those ideas of shapes and what colors would best capture her business personality. After some iterations and combinations, this is what I presented. For her icon the gradient blue represents her values of trust. It also represents water which is a foundation to any form of life and growth. 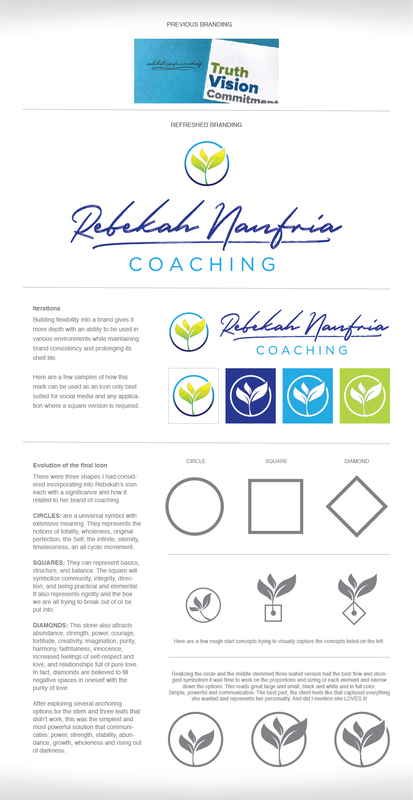 The gradient leaf breaking through represents her clients and their opportunities to thrive. Three leaves? Yep, those represent trust, life or fresh starts and growth. Part of the joy in this project like so many is being able to help my clients find who they are and develop what that personality looks like in a visual format for them. The other part is hearing the excitement in their voices knowing that I created something that is uniquely them. Thank you Rebekah for trusting me. I loved working on this with you and look forward to collaborating on other projects as you grow and thrive.